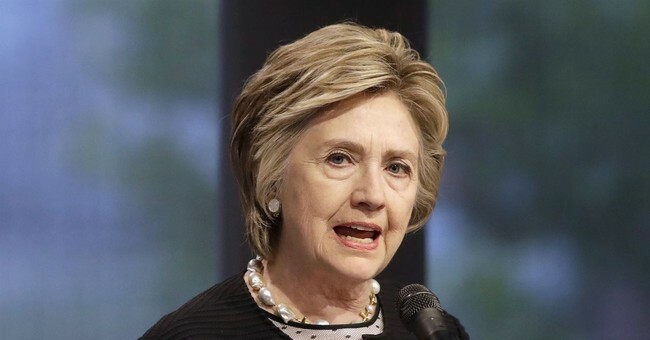 Twice failed Democrat presidential candidate Hillary Clinton is finally admitting her campaign paid for the Russian dossier on Donald Trump, albeit by default, and is calling it typical "opposition research." During an interview with The Daily Show Wednesday night, Clinton argued the Trump campaign colluded with Russian officials to win the presidential election and denied any wrong doing in hiring Fusion GPS and a foreign spy. Not surprisingly, Clinton misrepresented the original hiring of Fusion GPS by a Republican donor. That donor was Peter Singer, who hired the firm on behalf of the Washington Free Beacon to do research on all of the GOP candidates during the primary, including Trump. Fusion GPS did not employ Christopher Steele, a British spy, to do any of this work. When the Clinton campaign hired Fusion GPS after Trump won, Steele was hired and worked with Russian officials to come up the infamous and salacious dossier. Keep in mind the Clinton campaign and DNC officials have denied paying for the dossier for nearly a year, but were forced into an admission after a subpoena from House Intelligence Chairman Devin Nunes revealed both entities had in fact employed Fusion GPS to create the dossier. A Washington research firm paid a former British spy’s company $168,000 for work on a dossier outlining Russian financial and personal links to Donald Trump’s 2016 election campaign, the U.S. firm said in a statement on Wednesday. Although it was public knowledge that Fusion GPS paid for the work, the amount had not been disclosed. Fusion GPS hired former MI6 officer Christopher Steele to collect information about Trump and his advisers. The money paid to Orbis was taken from $1.02 million it received in fees and expenses from the Perkins Coie law firm, the statement said. The law firm represented the Democratic National Committee and Hillary Clinton’s presidential campaign, although initial research by Fusion into Trump and other Republican primary candidates was commissioned by a conservative website. It's just opposition research...that Team Clinton denied existed as a result of their actions.